Homemade skin care can be as easy as mixing up a small amount of oatmeal and milk and making a body scrub that costs you pennies on the dollar compared to comparable products at the grocery store. Plus, they are fun to make, you know exactly what went in them and if you have any form of allergic reaction, you don’t have to make any more than what you need at a time. Sometimes store bought items lose their potency before you can use it at all. By making your own products, you can have as little or as much as you need. 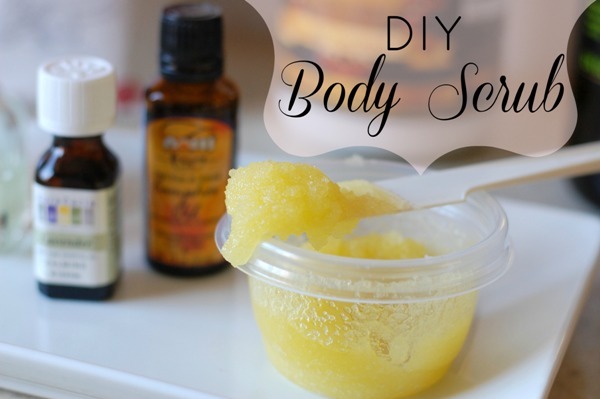 Today, I am going to discuss with you how you can make your own milk body scrub. You may ask,”Why milk?” The health benefits of milk are well-known but do you also know that you can also use milk externally for your routine natural skin care treatment. In fact, the Egyptian Queen Cleopatra used milk to bath her body with the purpose of keeping her skin glowing. The protein content in milk is also useful as a supply of nutrients to function well as moisturizes the skin surface coating to make it smoother and suppler. The lactic acid found in milk is a natural alpha hydroxyl acid, which can exfoliate the skin. In other words, this mild acid can gently exfoliate the dead skin cells. This acid dissolves the proteins that bind the dead skin cells together. Not only that, the fats presents in milk hydrate and moisturize the skin to make it soft and supple. The dead skin cells, if not removed can eventually clog the skin pores, which can cause the development of blackheads and pimples, besides making the skin dull. Milk can remove these dead cells, and improve your complexion and skin tone. In general, skin exfoliation causes a little bit dryness. But when you use milk for this purpose, it does not make your skin dry, as it contains fats. The basic ingredients for the milk body scrub are milk powder, an exfoliating agent, a carrier oil, fruit juice, honey and the last to add it is essential oil. The carrier oil is for use to hold the ingredients together. One of the best carrier oils to use is virgin coconut oil and virgin olive oil as these are easily available and have a pleasant or tolerable smell. Make sure to use the ‘virgin’ grades as these are the best, but the normal ones will do as well. You can also add the more expensive oils in smaller amounts, oils like sweet almond oil, wheat germ oil, walnut oil, hazelnut oil, rose hip oil, evening primrose oil, vitamin E oil, etc. Among these, I prefer almond oil because it blends easily with other ingredients and is suitable for all skin conditions. As for the exfoliating agent, there are the gentle ones which are more suitable for sensitive skin. Examples are oats, clays, rice flour or any type of grain flour and mashed fruits. Consider tomatoes, bananas, apples, orange pulp, grapes (get the ones with seeds), strawberries or virtually any fruit which you can mash or grind to a pulp. For the mid-range exfoliating agents, they will include crushed nuts like almonds, walnuts, etc, and very finely ground rice grains (just blend them in your dry blender), finely ground sugar, baking soda, ground barley, finely ground coffee beans (said to be good to reduce cellulite, instant coffee does not count!) or basically any food item that you can grind down. Of course, there are the rougher exfoliating agents which include coarsely ground sugar, and coarsely ground anything stated above and salt (do not use salt if you have open cuts and wounds as it will cause burning sensation). For honey, you should use the organic ones and my preference is manuka honey. Honey is included in the milk body scrub because it is a natural humectant that attracts and retains moisture, which is especially suitable for aging or dry skin. As for fruit juice, you can extract it from any fruit you like, but it should be only fresh and unprocessed. The last to add into the milk body scrub is the essential oil. I prefer using lavender oil as the essential oil for the milk body scrub because it is very gentle and good for all skin types, including very sensitive skin. It is also perfect for mature skin, acne, eczema, and psoriasis and is effective in soothing itchy skin. Make sure your skin is not experiencing any serious skin disorders. Check that there are no wet or open wounds. Combine the milk powder scrubs fresh every time you want to use it to minimize the risk of scrubs containing contaminated milk powder. Milk scrubs can generally be used for all skin types, especially for dry and dull skin that tends to be scaly. It is recommended to use powdered milk or canned milk formulated with full cream to obtain the maximum moisturizing benefits. Below are some popular homemade skincare recipes using milk as a base to make your own body scrub which you can enjoy. After you have prepared your milk body scrub using any of the above recipes, you will stand in the shower and turn the water on briefly to dampen the skin. Turn the shower off and then gently massage the scrub on your body using an upward circular motion. Once you’re finished applying the milk body scrub to the skin, turn the shower on and rinse it off. The ingredients in this milk body scrub recipe provide the exfoliating properties needed to remove dead skin from the body. Scrub plus milk can generally be used for all skin types. Moreover, for the dry skin, dull, and tended to scaly. To them, it is advisable to use milk powder or full cream milk cans formula, in order to obtain maximum moisturizing benefits. These are some of the great ways to practice skin care using ingredients you already have on hand. More importantly, a lot of skin care recipes are available for you to try and prepare your own natural skin care products. Compared to the commercial products, natural skin care products you make yourself tend to be better and safer for your skin. You’ll be able to naturally nourish your skin rather than harming it with all the chemical substances found in commercial skin care products. Your skin will look so much better when you use these recipes!